Minecraft has managed to become a cultural phenomenon, netting its bearded and hatted creator, Marcus “Notch” Persson nearly enough money to buy the moon. He’s released a new game. We don’t expect it to match Minecraft’s popularity in any way..because it’s even dumber than Goat Simulator. It’s called Cliff horse, and it’s about a horse that runs on cliffs, I suppose. 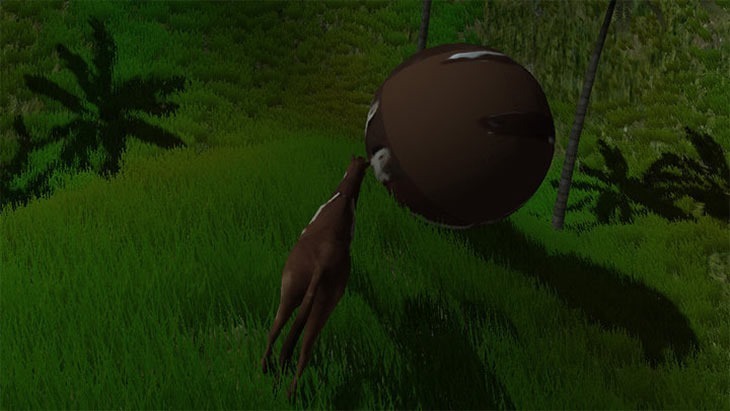 Featuring some rather Skyrim-inspired horse-physics, that’s really all there is to it. I suspect it took about 15 minutes to throw together in Unity, and is a social experiment to see just how much attention people will pay to nonsense just because it’s attached to his name. In that regard, it’s pretty successful. It’s even earned Notch a bit of cash. While the “early access” downloadable version of the “game” is free, Notch is asking for donations in the stupid crypto-currency, Dogecoin. To date, he’s received over 280,000 Dogecoins (many coin, such currency, very stupid, wow), which works out to about $100 for throwing a digital horse against digital cliffs. I honestly believe that the only reason people paid attention to Mojang’s TCG, board-game hybrid Scrolls is because of the Mojang name, and the same is true of Cliffhorse. And I’ve just fallen right into the trap. Previous article More TRUE DETECTIVE for Matthew McConaughey?